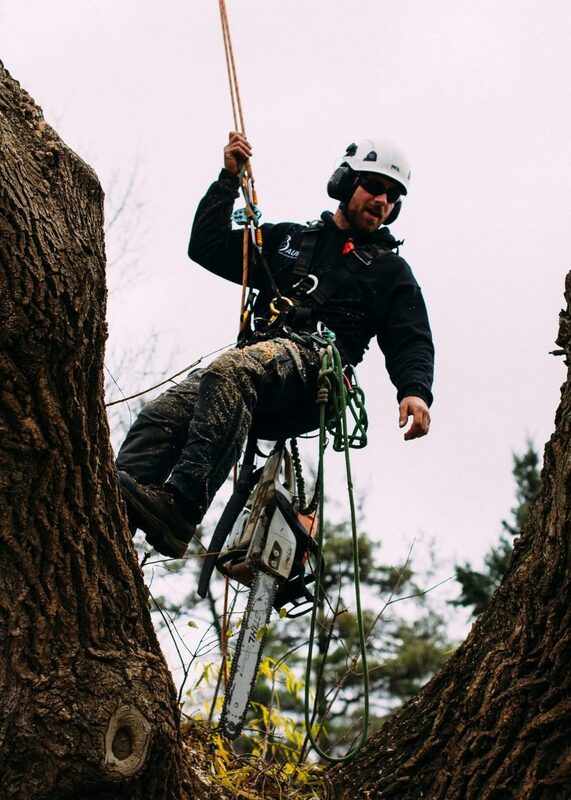 Tree removals can be a messy and dangerous job for homeowners — a professional tree removal service can help you avoid the risks of damage to people or property during the process. 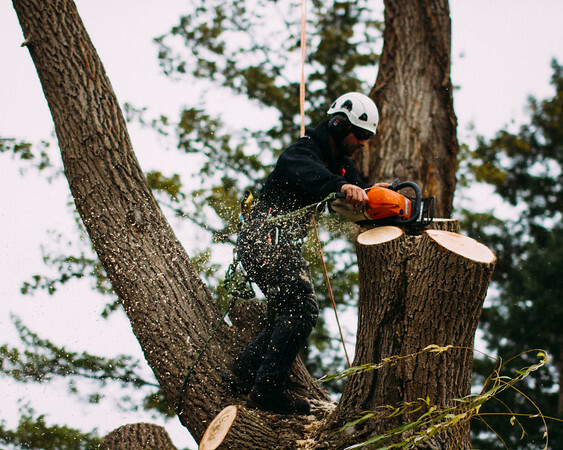 When considering a tree removal, it is important to consult with a trained arborist, who can evaluate the tree and provide recommendations on how to address the situation. In some cases, pruning may be able to extend the life of the tree avoiding removal all together. In others, the tree may require removal due to disease, structural issues, or just being in the wrong spot. A knowledgeable arborist can help you figure out what is best for each individual tree. When removing a tree, we chip the small branches into mulch and remove all large pieces of wood and mulch from the property. Some clients may wish to have us leave the branches and other wood behind to take care of on their own, which lowers the cost of removal considerably. We can also leave the wood chip mulch from your tree. This can be used to mulch your gardens and feed the soil. If you want to hold onto any of the materials from your tree, let us know. Do you have a stump that needs grinding from your property? On the other hand, sometimes a tree removal is not actually necessary! Our team can help you evaluate whether your tree needs to be removed or if there is a pruning solution. Do you have a trained arborist on your team? Are they ISA certified? Do you use personal protective equipment (PPE) on the job? Do you have WSIB insurance coverage for your workers? If you’re looking for a tree removal company that provides all of the above, contact the team at Baum Tree Care today for a free quote. Do you have a tree or stump that you want removed from your property?